Florida Gators basketball has added the final piece to its 2010 recruiting class, one which will give the team and head coach Billy Donovan a drastically different look next season. Confirming a story OGGOA first posted on April 21, the Orlando Sentinel and The Gainesville Sun are reporting that three-star 2011 point guard recruit Scottie Wilbekin (Gainesville, FL) has committed and will officially sign with the University of Florida next week. Though Wilbekin is only a high school junior, he has excellent grades and enough credits to graduate early in order to be eligible for admission to UF as a member of the basketball team’s 2010 recruiting class. He has already completed his standardized tests, is set to receive clearance from the NCAA and plans to sign his National Letter of Intent at The Rock School on Tuesday. Now the sixth scholarship player brought in for 2010, Wilbekin will join four-star forwards Patric Young (Jacksonville, FL) and Casey Prather (Jackson, TN), three-stars Cody Larson (Sioux Falls, SD) and Will Yeguete (Melbourne, FL) and Rutgers transfer guard Mike Rosario (Jersey City, NJ), who will not be eligible to play until 2011-12. In order to sign six recruits to scholarships, further changes must be made inside the Florida program – especially after junior forward Alex Tyus removed his name from the 2010 NBA Draft and decided to return to school for his senior season. 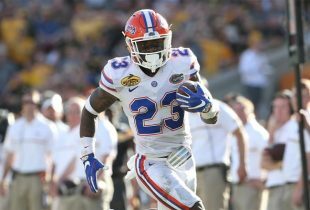 Jim McKenzie, The Rock’s vice president, told the Sentinel that UF has already set aside a scholarship for Wilbekin, meaning the future of two players has already been decided. Sophomore guard Ray Shipman has chosen to transfer, but the Gators still must clear two more scholarships to get them to the NCAA-mandated maximum of 13. The most likely candidates to be taken off scholarship are freshman point guard Rod Tisman (who would remain in Irasel or transfer) and redshirt sophomore forward Adam Allen (who would retire and be granted a medical hardship or transfer).